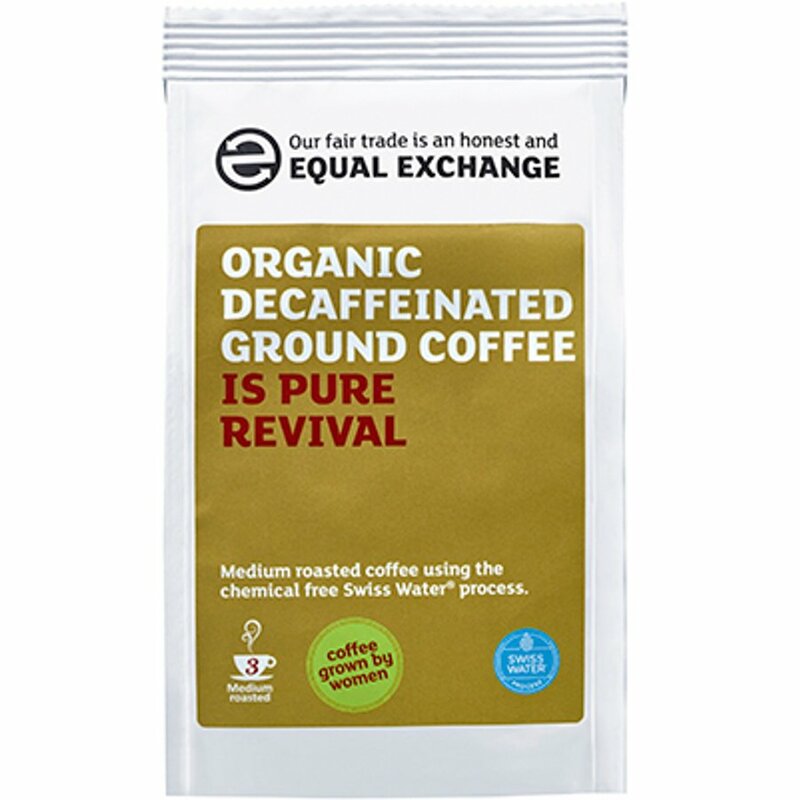 cant drink normal coffee anymore, has to be decaff, organic and fair trade. It's all we drink...brilliant...organic, fairtrade adn decaff! Marvellous taste, excellent coffee. Hope no chemicals used to remove the caffeine. Have been recommending it to everyone. A: Good Morning, Many thanks for your query. 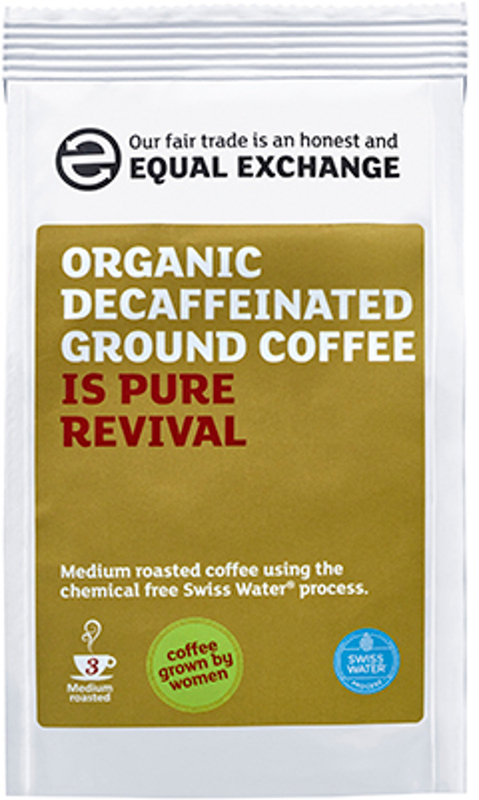 Equal Exchange uses the Swiss Water Method to remove the caffeine, no chemicals are used. I hope this helps.